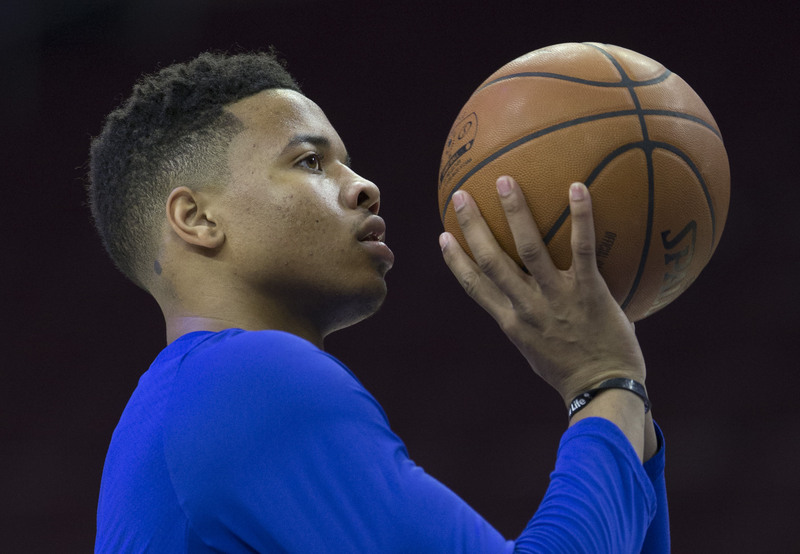 How Can Markelle Fultz Reclaim His Broken Shooting Form? Markelle Fultz's shooting form still hasn't been fixed, and the 76ers might have a crisis on their hands. How can this young talent reclaim his confidence? When the Philadelphia 76ers selected Markelle Fultz with the No. 1 pick, they believed they found their point guard of the future. While that could still be the case, the path there is a little more complicated than anyone expected. Fultz's situation in Philadelphia is unlike any we've seen in recent years. The discussion around his shoulder injury and broken shooting form continue to cloud his future and create questions about 'The Process'. On the latest episode of the Open Floor podcast, Andrew Sharp and Ben Golliver discuss the Sixers' handling of Fultz, the young players crisis of confidence and what should be the next steps. Ben Golliver: I've got a comparison for you and I've got a solution for you. Which one do you want first? Andrew Sharp: Give me the comparison first. We can save the good news for later. Golliver: I've been reading this book. It's called All the Light We Cannot See. It's a Pulitzer Prize winning book about World War II. In the book, there's a Parisian locksmith. He has all these little tools that he uses to essentially secure valuable items in his museum inside false doors and different creations, and his daughter happens to be blind. So one thing that he does for his daughter is he makes her these very complicated locks, where she has to push one wall off the box to open up the next wall of the box and that'll get her inside a third box, where she kind of has to undo a lock to open the fourth box. Then finally she gets whatever gift is in the middle. It's like a hour-long process for his blind daughter and this is how he bonds with her. By now it should be clear that Markelle Fultz is the blind daughter. When he's getting into his shot, it looks like he's going step by step through some process. He's going, "Ok, now I have to do this. And then now I have to do this." He is overthinking every single step of the way as if he was trying to unlock some crazy, World War II era box crafted by a French locksmith. That's a bad sign, Andrew. That's not good, that's not how it's supposed to be, that's not how it ever was prior to his Philadelphia experience. And that brings me to my solution... He needs to go on a Habitat for Humanity trip. He just needs out—no basketball, no workouts. Sharp: I was going to say the exact same thing. There have been people joking on Twitter and various articles about sending him to Qatar, where Joel Embiid rehabbed a couple years ago. And I don't think we have to send him to Qatar, but they should just send him away. The time for desperate and/or extreme measures is here. I would say give him six months off and hope that it gets better. I don't think the team would be OK with that, and I don't think Fultz would be OK with that necessarily. It'd probably be a delicate process selling his team on that. But it just seems like that's the right move, right? Just to sort of recenter. Golliver: If I was his people—his parents, people close to him—this is a crisis. It looks an awful lot like a crisis. You have to respond in a big-time way. I'd get him all the hammers he can get into a 50-pound checked bag, I'd ship him a whole bunch of nails, I'd let him pick whatever Southern American country he wants, I'd get him lined up with a group who sort of supports his views on the world and I would basically let him build a village from now until training camp. I would say no basketball, no basketball-related workouts. If you want to stay in shape, run on the beach or whatever. Clear your mind, get away from it and go do something that will make you feel fulfilled. Contribute to society in a way where you're not being defined by being a basketball player. Wipe it clean, because we have seen situations where guys get super down on themselves because of injuries and there's no way of coming out of it. They spiral. And that's not what we want for him. His future is too bright, his skills were too evident last year. They need to have a clean break here, and parading him in front of the media was a terrible idea. I don't know who's doing that, but you're shaming this poor kid and certainly he's getting the negative feedback. So anyone who is close to Markelle Fultz who is listening to this... think big. Send him on a sabbatical and let's try a different outlook. Sharp: You mentioned the injury. The injury may be part of it. I think initially a lot of people were explaining this solely by pointing to the shoulder injury and saying, "He's clearly not right. They should sit him down and that'll fix it." And then over the last month or two, that has swung back in the other direction where a lot of people are saying the injury was a lie all along and anyone who thought the injury was a factor is an idiot. I do think ultimately the truth is somewhere in the middle, where the injury has played a role and it just has kind of snowballed into a mental thing as well. Golliver: Look, if you don't feel right you're not going to be able to process things mentally and it can have lingering effects long after the original injury. It doesn't have to be some crazy injury that sends you into a negative mental place. I think we can agree at this point the mental part is bigger than the physical based on those videos, and that's why you say wipe the mental slate clean, get him away from all this stuff, don't have him hanging around goofting off with Joel Embiid and Ben Simmons. Those guys are actually playing basketball well. Fultz wasn't ready for that right now, so hit the eject button. Sharp: The one other point that I want to make: I've heard a dozen different Sixers press conferences over the last month or so mention Fultz's absence as a factor in their season this year. I've heard Sixers fans talk about it, I've heard Brett Brown talk about it, and I just think a lot of people will say stuff like, "Well, we need a creator and a ballhandler who can score off the dribble and Fultz was supposed to be that guy and he's not here and that's why we're struggling." Golliver: Very well said. He's not part of the game plan at all right now. Sharp: Yeah, he's kind of a convenient way to explain whenever the Sixers losers, and that to me is kind of bull----.